SBC’S Betting & Tipster Awards: The Results Are In! Today we have released our 4th SBC Betting & Tipsters Award Report, containing everything you need to know on the best tipsters (both free and paid), bookmakers & websites from the past year. As these awards are based on votes from both SBC members and you, the general betting public, they really do highlight the most deserving winners – and just who you should be following or betting with in 2016. The Best & Worst Bookmakers as voted for by both SBC members and the general public. The Best Betting Website as voted by both SBC members and the general public. 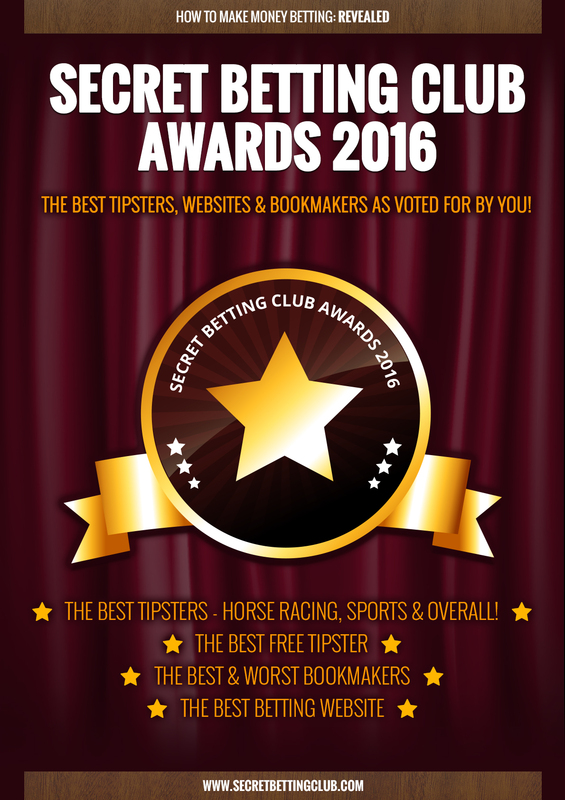 You can pick up your copy of the 2016 Awards Report, the instant you sign-up for a Smart Betting Club membership. With this you can also gain access to our huge 10-year back catalogue full of tipster reviews, expert interviews and guides, betting systems and profitable betting advice. Effectively everything you need to know on how to make a profit from your betting. And as you can also sign-up for a Smart Betting Club membership and enjoy a full money back guarantee if not satisfied for any reason with our product, you have everything to gain and nothing to lose. This entry was posted in Bookmakers, SBC News. Bookmark the permalink. ← Why Backing The ‘Wrong’ Winners Can Cost You Big Time!